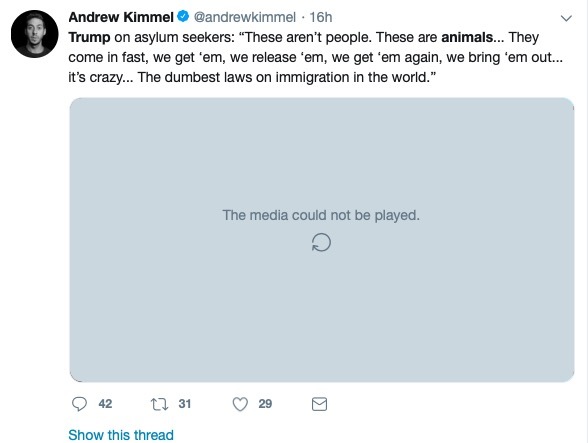 Democrats and members of the establishment media fell for a viral clip purporting that President Donald Trump called asylum seekers “animals” on Friday at an immigration roundtable. 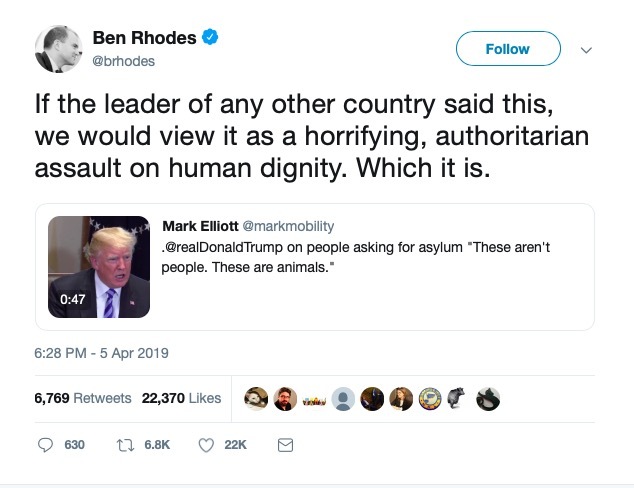 The shortened clip was reposted on Friday by Twitter user Mark Elliot, who falsely claimed that the president was referring to “people asking for asylum” and did not indicate that Trump’s remarks were not new. “We have people coming into the country…You wouldn’t believe how bad these people are. These aren’t people. 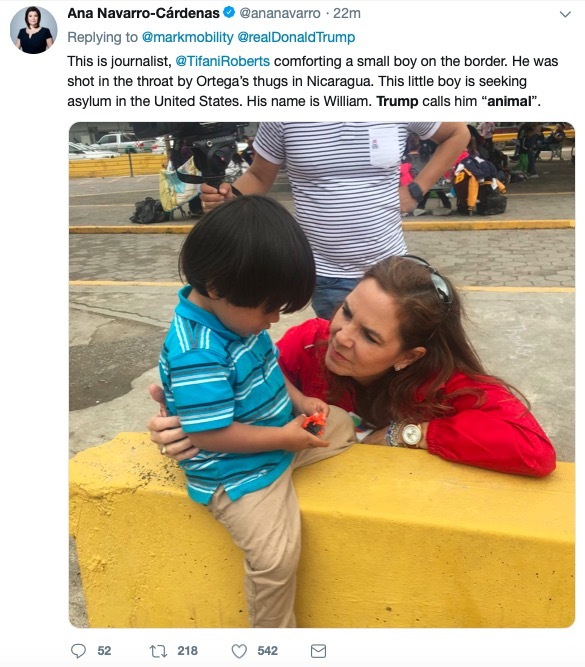 These are animals,” Trump said in the video. The fact that Trump held an immigration roundtable on Friday in Texas only added to the confusion of people who believed the remarks were said recently. Just as many members of the media fell for the old CSPAN clip last May, a number of Democrats, journalists, and pundits began tweeting angrily about the president’s “new” comments. 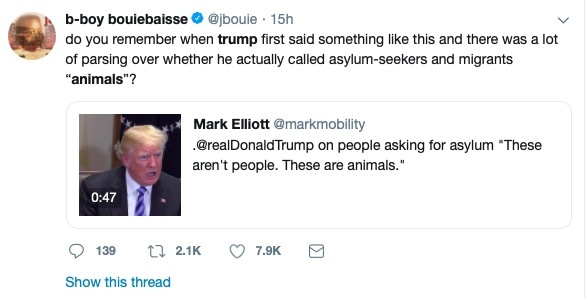 Journalist Yashar Ali attempted to clear up the misconceptions about the viral video and noted that even Snopes determined in May 2018 that the president was talking about MS-13.